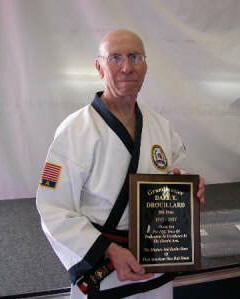 Grandmaster Drouillard was the first American ever to be awarded a Cho Dan by the late Grandmaster Kee Hwang. 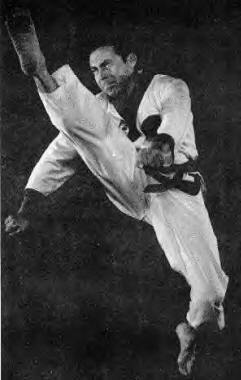 He earned his Blue Belt in 1957 while in the Army, stationed in South Korea. When he returned home to Michigan in 1960, he opened his club in the downriver Detroit city of Wyandotte at the local YMCA. The opening of that club was another milestone for Grandmaster Drouillard as it was the first Moo Duk Kwan school established in America. Grandmaster Drouillard is still active in Tang Soo Do and continues to teach in Dearborn, Michigan.